Geostationary satellites are located exactly above the earth’s equator and revolve around the earth in a circular orbit. Their revolving speed and direction (west to east) are exactly same as that of the earth, which makes it look stationary from the earth’s surface. The exact altitude of these satellites above the equator is approximately 36,000 Kilometers (22369 Miles). A geostationary satellite has to be at a set distance above the earth or it will suffer altitude decay. If it is too far from the Earth, it will escape the Earth’s gravitation field altogether. The term geostationary stems from the fact that this kind of satellite looks practically stationary in the sky when someone on the earth’s surface observes it. A geostationary satellite’s orbital path is called the Clarke Belt, in honor of the science fiction author Arthur C. Clarke, whom is credited with coming up with the idea. He published an article in 1945 that suggested that man-made satellites could serve as communications relays after he studied the German rocket research conducted in World War II. The first successful geosynchronous orbit was in 1963 and the first geostationary orbit was in 1964. 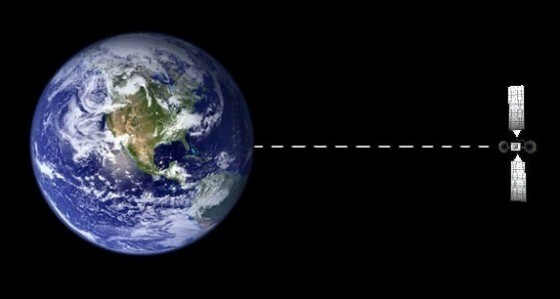 When a satellite or spacecraft is in a geosynchronous orbit, it is synchronized with the earth’s rotation, but the orbit is tilted towards the equatorial plane. Satellites in these orbits change latitudes but remain over the same line of longitude. This differs from a geostationary orbit as the satellite moves into position and is not fixed in a single location in the sky. A geostationary satellite remains in the same position while it provides coverage of the same area on the Earth’s surface. A satellite in geostationary orbit services specific areas or regions on the Earth’s surface for telecommunications, television, and imaging services in a predictable and more efficient manner than a satellite that has to constantly be driven to a position. A geostationary satellite can be contacted via a directional antenna, typically a little antenna dish, targeted at the location in the sky where the satellite seems to float. 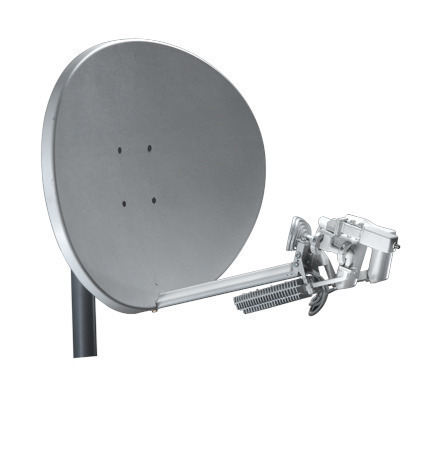 These dish antennas can permanently be put in one place and are low-priced compared to tracking antennas. One geostationary satellite can cover approximately 40% of the earth’s surface area. Three such geostationary satellites, each separated by 120 degrees of longitude, offer complete earth surface area coverage, with the omission of little circular areas situated at the north and south geographic poles. The typical service life expectancy of a geostationary satellite is ten to fifteen years. These satellites are placed at high altitude, allowing them to inspect the entire earth’s surface area except for small regions at the south and north geographic poles, which significantly helps in meteorological studies. Highly directional dish antennas can reduce signal interventions from earth based sources and other satellites too. The orbital sector is a really thin loop in the equator’s plane. Hence, a very small number of satellites can be maintained within this sector without mutual conflicts and collisions. A geostationary satellite’s precise hovering location fluctuates a little over each 24-hour period loop. This fluctuation happens due to the gravitational interference among the satellite, the earth, the sun, the moon, and other planets. 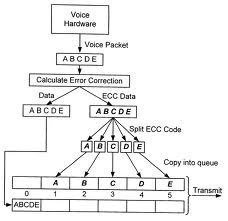 Radio signals take roughly 1/4th of a second for a two-way trip to the satellite, resulting in a small but major signal wait. This wait raises the trouble of interactive communication like telephonic conversation. Geostationary satellites have modernized and transformed worldwide communications, television broadcasting, and meteorological and weather forecasting. They also have a number of significant defense and intelligence applications. I have a doubt. For example, take New Zealand. It is located in the 41 degree latitude of southern hemisphere and not located on the equator(ie,0 degrees). Then how it would be possible for a satellite to maintain the GSO over the skies of New Zealand…..???? I have notice the all the ( directtv ) receivers seem to be aimed at a fairly low angle. One would think they would be aimed much higher since they claim none of them are aimed at a radio tower. I seriously doubt what they are saying also. The supposed location of the DirectTV satellites is published. You can compare that to your location and see if this would result in the low angle. lends one to believe that in fact, they are receiving satellite broadcast tv signals. 274 queries in 0.516 seconds.